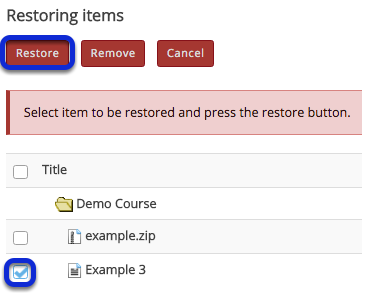 Instructor User Guide ResourcesHow do I restore a removed file or folder in Resources? This displays the Resources Restoring Items page. This restores the previously removed items back to the original folder. Prev: How do I remove a file or folder in Resources? 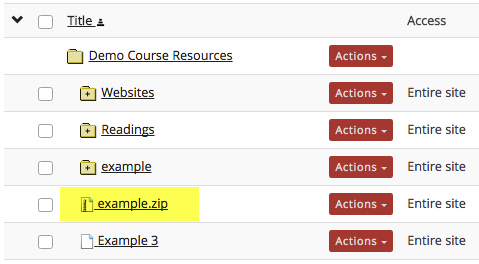 Next: How do I add and display contextual information about a file or folder?